It’s the Amazon Rainforest of skills. The Yggdra-skill. 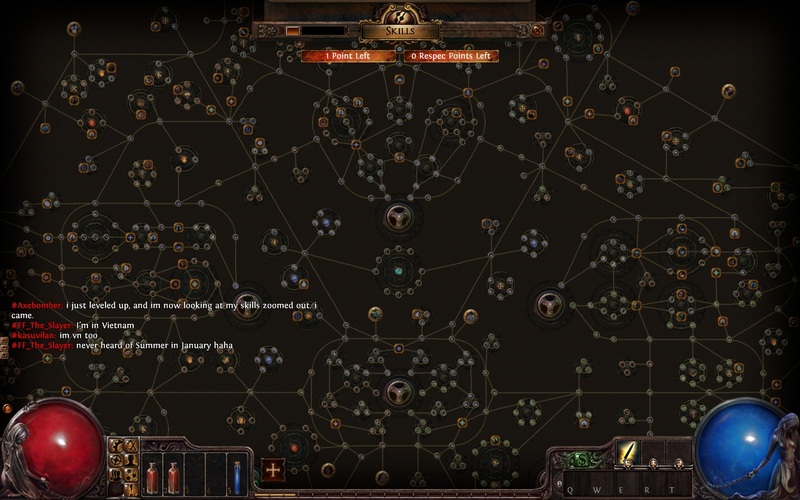 Although to be fair, all character classes share this same skill constellation, but start at different points. But that means if you’re crazy enough, you can get the skills of another class perhaps if you’d connect the dots far enough. It reminds people of the sphere grid in Final Fantasy X, which is definitely not a coincidence that Grinding Gear Games had put it here. They’ve been taking elements from different games to create the ultimate online action RPG, and they’re doing well so far. You can register for open beta in http://pathofexile.com.